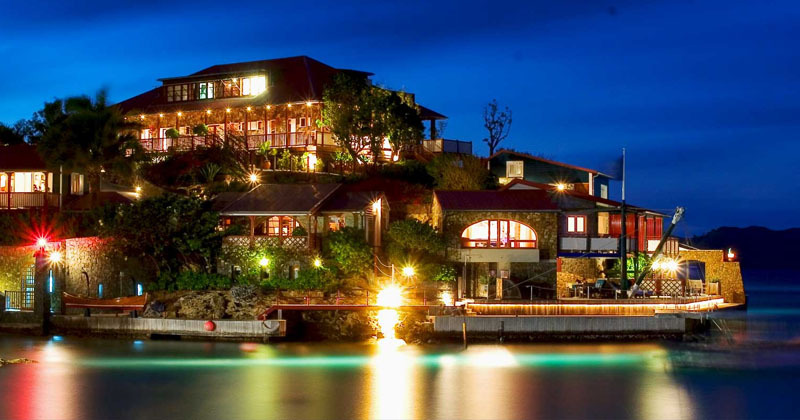 Eden Rock Hotel in St Barths – The original hotel on the aspirational island of St Barths in the French Caribbean was conceived in the 50’s by Remy De Haenen. Aviator and adventure for use by his Hollywood chums as an exclusive hideaway from their adoring fans, and even today, Eden Rock is just that … a secret paradise. Such greats at Greta Garbo, Howard Hughes, Rothschild and Rockerfeller families visited often hence the naming of the most exclusive suites after these famous names. Now it is your turn to visit and enjoy the most incredible experience of feeling you are in France but with the wonderful climate of the Caribbean. This unique luxury hotel has an atmosphere all of its own and one that must be experienced first hand to truly grasp its magic. Each of the fabulous 34 cottages, beach houses, rooms, suites and state of the art villas Villa Nina and Rockstar which have been individually designed and furnished, most of which include a least one quirky feature. You don’t have to be famous to stay in one, but we can guarantee a truly fantastic holiday if you so. The room choices fall into the following categories and are all totally unique and individually furnished. One Villa Rockstar, One Villa Nina, One Big Beach House, Three Diamond Suites, Three Heavenly Beach Houses, Five Premium Rock Suites, Seven Classic Rock Suites, Eight Contemporary Beach Rooms, Four Cottages (and 1 cabin). Such greats at Greta Garbo, Howard Hughes, Rothschild and Rockerfeller families visited often hence the naming of the most exclusive suites after these famous names. Air-conditioning, direct dial telephone, mini-bar, in-room safe with digital code, hair dryer, flat screen satellite TV, DVD and CD player. High speed internet point in all rooms and suites, and wifi on special request in advance. Specific rooms or suites can be requested before arrival. Pick Me Up, Romantic Retreat and Culinary Delight packages with lots of exiting extras and inclusions are available from April to November. Eden Rock is a resort to relax. Bare foot breakfasts and lunches are served in the Sand Bar on the famous St Jean Beach with a view to take your breath away. On The Rocks is a magical place that must be booked due to the fantastic haute cuisine served offering a choice of traditional French dishes to an truly international selection of locally caught and farmed produce. For those who appreciate Healthy Eating options there are plenty of thoughtfully balanced dishes to choose from to keep you looking at your best. Location: On the beach in St Jean Bay within walking distance of St Jean village and a few minutes from the airport and the town of Gustavia.